H12-44 #1802 was built in 1956. 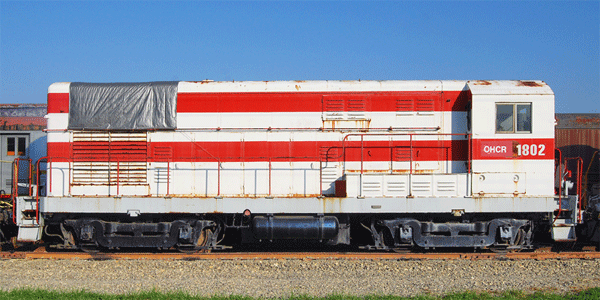 After serving on the Yankeetown Dock Railroad and the North Carolina Port Authority, #1802 was sold to the Ohio Central Railroad via e-Bay. You truly can purchase anything online these days! 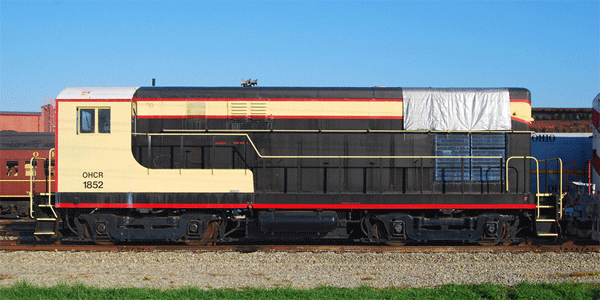 Another U.S. Army veteran now in the Age of Steam collection, H12-44 #1852 was built in 1953. After being sold by the Army to the North Carolina Port Authority, #1852 eventually found its way to the Ohio Central Railroad. The engine was purchased on e-Bay along with identical #1802.